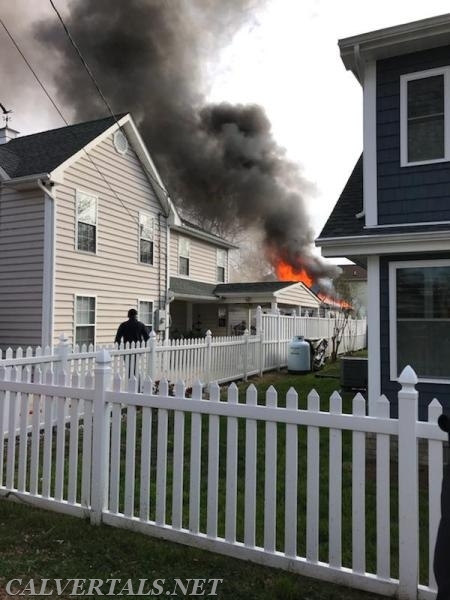 At approx 0900 hrs this morning Solomons, St-Leonard, and the Medic unit were alerted for a garage fire in Solomons Island. 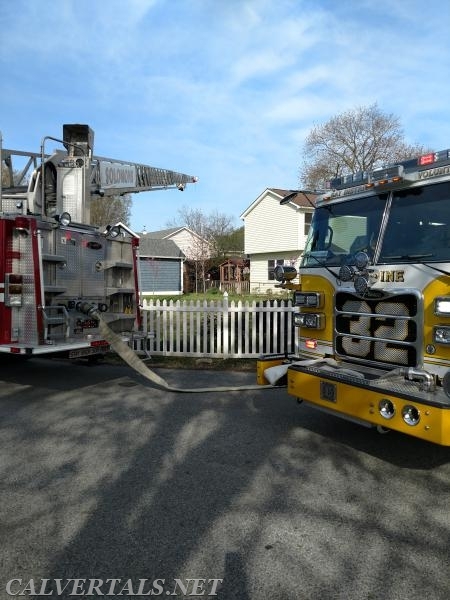 E31 was already on the air for a pub ed detail and marked up immediately with 4 personnel. M101 (PMIC Freeman) and Driver (C.Windsor) marked up from the office and responded to the scene. E31 went on location with a fully involved 20 x 10 garage to the rear of the main house with exposure problems on the "Charlie, Delta" sides. E31 stretched a 1 3/4 line and began to attack the fire. 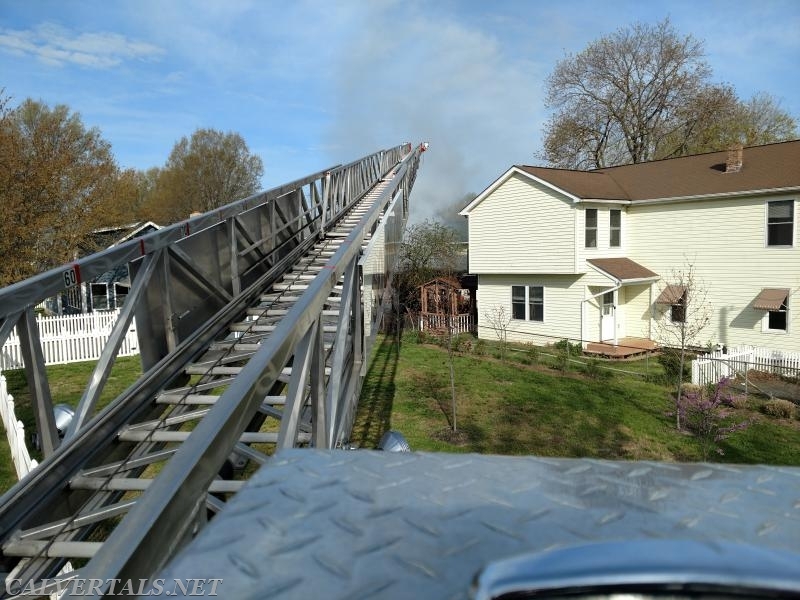 Truck 3 (Chief 10) positioned the ladder on the "Charlie, Delta" corner to prevent any fire spread from occurring. 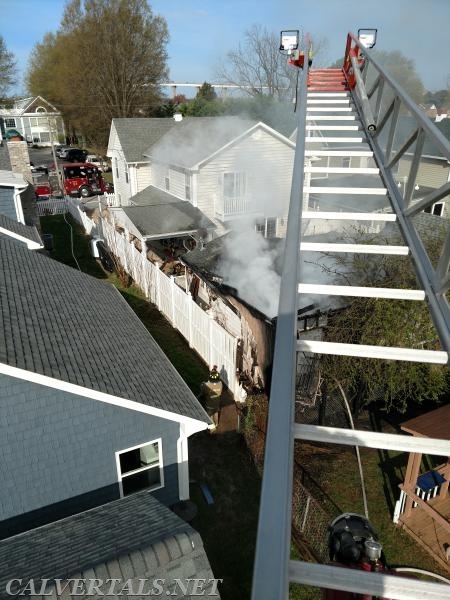 Bay District E32 laid 500 ft of 4" down to Truck 3 to supply its ladder pipe should it be needed. E71 picked up E31 line and between E31, 71 and 32 the fire was quickly extinguished. 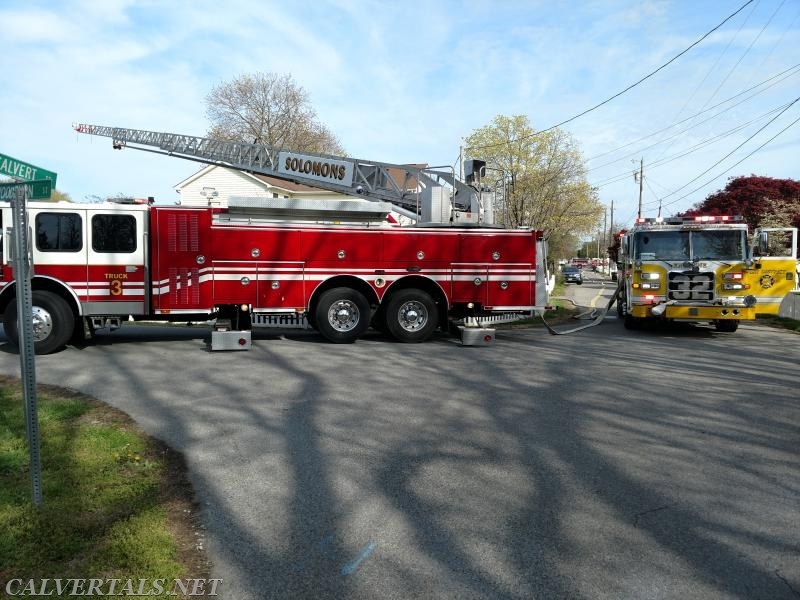 M101 joined Solomons A38 in the EMS staging area and stood by for EMS coverage. Aftermath view from the tip. Truck 3 in position on the Delta, Charlie Corners to protect exposures. 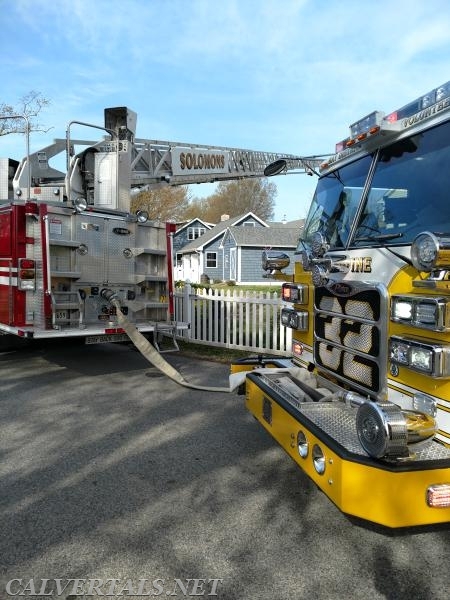 E32 in position to supply Truck 3. Truck 3 in position to protect exposures.